When I went home, I was able to go to the store and buy stuffing, as well as five skeins of yarn in colors I desperately (in my own opinion) needed. 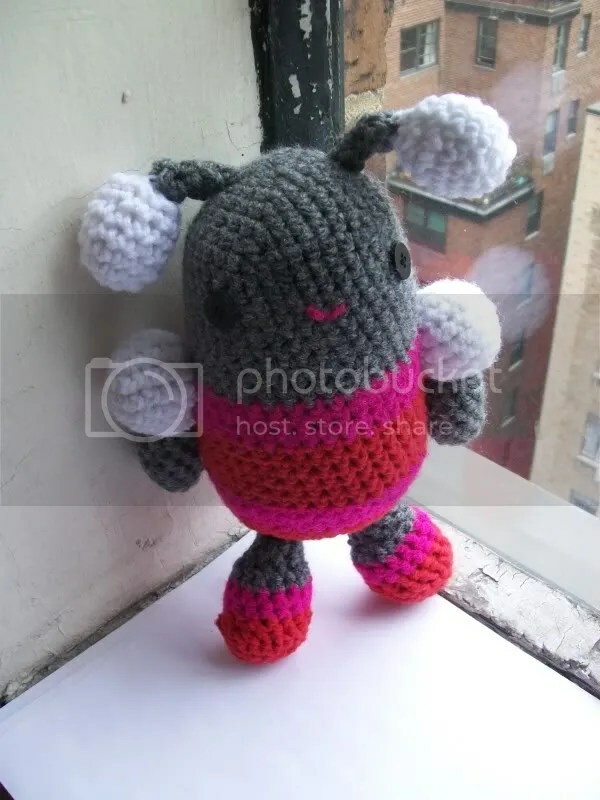 I had been itching to make this girl robot ever since I saw the pattern in a crochet book I bought, but I needed gray yarn, which I didn’t have. Now that I have the colors I need, I can crank out a little (well, rather big) army of boy and girl robots. 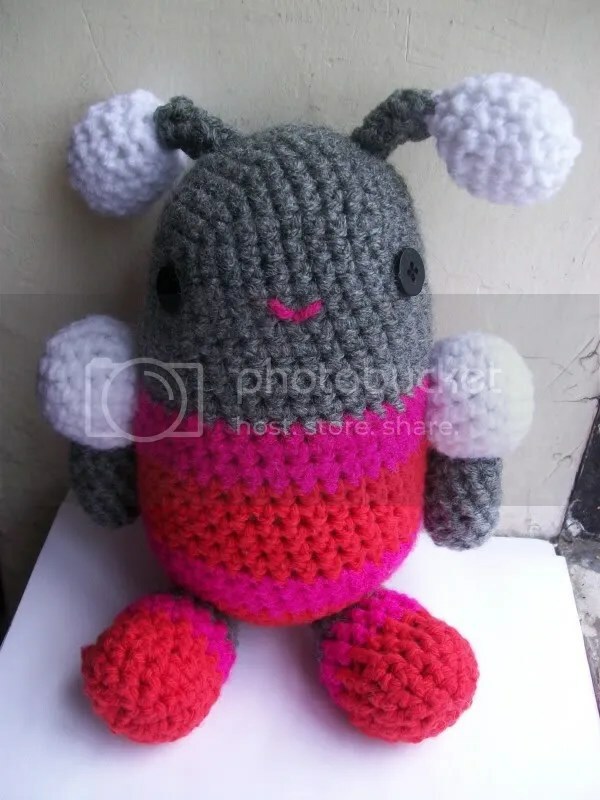 This first one measures about nine inches tall, which is slightly larger than I anticipated, and as a result, I’ll probably go down a hook size, which will also help to keep the stitches much tighter and with fewer unsightly gaps. Next postNot What I Expected.